Highlight packages routinely get thousands of views. Because they feature dozens of athletes, highlight packages have a larger built-in audience than other video types. If your event is not a webcast, a highlight video also allows friends and family back home to watch their favourite athletes in action. Highlight videos are also very popular with your sport’s fans around the world because they transcend language barriers. A baseball fan can appreciate a great double play whether it takes place in Canada, Japan or Cuba. Highlight packages have a long shelf life. Long after the final trophy has been handed out, your highlight package will be working hard to promote your sport. A single two-minute highlight package might be used by the media as b-roll (depending on the quality), shown by an athlete at a school presentation, sent to a granting organization to show that your event was successful, or turned into promotional material for next year’s event. One day’s work can pay dividends years later! Highlight packages provide value for sponsors and partners. If you work with a smaller sport, you might not be able to guarantee even 100 fans in the stands. If your sponsors’ banners or signs are shown in a highlight video, however, you can provide your sponsors with a wider audience and support their own social media efforts. Highlight packages let your sport speak for itself: Some sports suffer from negative stereotypes that prevent fans from tuning in. A highlight video showcases your athletes’ talent and allows all the excitement and passion of your sport to shine through unfiltered. So how do you create a highlight package without any experience in video editing? The secret is in preparation. Follow these easy steps to create your own highlight video. HD video files are very large. While standard definition video footage can be transferred to your computer easily and viewed immediately, large video formats can take hours to transfer and render. HD therefore adds a delay in every stage. If you don’t have a lot of time, HD might not work for you. Because HD files are so large, they may also be difficult to work with on laptops or other computers not designed for video editing, which can cause issues with lagging and crashing. Some easy video-editing software (i.e. Imovie) automatically converts your footage into its own file format, which can cause a loss in quality. YouTube also automatically adjusts video quality based on the viewer’s bandwidth. Even though you put in extra work to film in high-definition, your viewers might only see standard-definition. In short, aim to film in the best resolution for the most manageable amount of work. You might decide to start filming in standard definition and work up to high-def as your knowledge of video editing improves. Ensure that all of your video equipment is in good working order, fully charged and easily accessible. 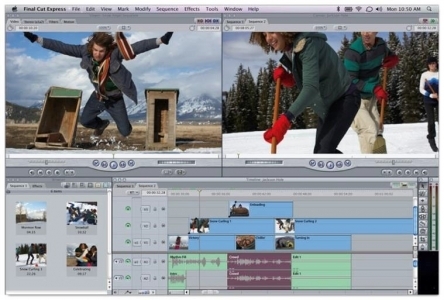 If you’re new to video editing, you’ll need video editing software that’s simple to use. Software like Final Cut and Adobe Premiere give you powerful video editing capabilities, but they have a steep learning curve. For beginners, most professionals recommend iMovie or Windows Movie Maker. If you have any trouble with your video- editing software, check out YouTube for a wide range of easy- to-follow tutorials. (We’ll also have a module shortly on creating simple online videos). Remember: if your organization is a non-profit, you can get video editing software at a reduced price thanks to Techsoup Canada. Create a folder with tournament logos, sponsor logos and any other graphics that you might want to include in your video. Many organizations use Photoshop to create simple title cards/frontplates to ensure consistent branding, but if this isn’t within your organization’s capabilities, don’t worry: most simple video editing programs make this process easy. Music can make or break a highlight video, but you have to have permission to use it. So no matter how tempting it is to bust out “Eye of the Tiger” for your video highlight package, err on the side of caution by finding Creative Commons music that works with the tone you want to convey. Creative Commons has a system of licenses that allow artists to control the rights to their material. Many will provide their music free of charge in exchange for credit and extra exposure. Music that builds to a crescendo tends to be the most effective. When selecting music, you should also think of your audience. Dubstep, for example, is not to everyone’s tastes. If you think your music might be off-putting to people within your audience, then select a different song. The reason that there are fewer video highlight packages on YouTube than you’d expect is that many people aren’t sure how to turn eight hours of video footage into a two-minute clip. The more competition footage you have, the better the chance that you’ll capture some truly impressive highlights, but how do you unearth these without having to re- watch everything? The easiest way to avoid slogging through hours of footage is to ruthlessly separate the wheat from the chaff before you even leave the field of play. Here’s how: Film every play individually. Each clip will be between 15 and 30 seconds, depending on your sport. If a play doesn’t have a highlight, simply delete it. 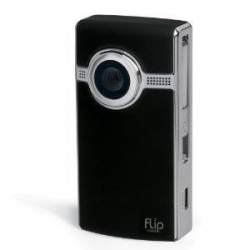 (This is easier to do on video cameras like the FlipCam, which have the delete button right by the record button). After eight hours in the gym, you’ll be left with maybe 20 minutes of high-quality footage, which is quick to render and quick to sort through. If you don’t have the equipment to try Technique 1, you’ll have to sort through the footage during the editing process. (You might also be filming the game for a different reason, like scouting, and may not be able to perform technique 1). Keep the camera running and have a notebook and pencil at your side. When something interesting happens, note what time it occurs on the tape. Though you may still have to render the entire game’s footage, you won’t have to watch it all over again to know when the “hit” occurs. If your event had a good crowd, use the sound of their cheering to your advantage. Simply load all of your footage into your video editing software then look at the audio graph. Chances are that the spikes you see in the audio are caused by the crowd reacting to a good play or a controversial call. Make sure you get close-up shots of athletes. Showing the expressions on people’s faces (a coach shouting at her team, an athlete celebrating after a key shot), adds drama to your video. Vary the location and angle you film from if possible. This adds visual interest. If you have access to a GoPro, use it! Some of your athletes may already be using GoPros for coaching/training purposes, so see if you can access this footage. Crashes/hits are the most popular highlight type. In fact, ‘fail’ videos are strangely often more popular than videos of the most beautiful, perfectly time play. Make sure to use a tripod or monopod. Your videos shouldn’t cause nausea! Include shots of sponsor or partner banners/posters if possible. Don’t be afraid to get audience reaction shots, or even shots that show the “flavour” of the event, such as athletes taping up/focusing for competition. If you’ve been following along with the steps so far, editing your highlight package should be pretty simple. The trick with editing highlight packages is to keep it short. The average sports video on YouTube is 3:40 minutes1 but the most popular videos are between two and four minutes. If your video is longer than four minutes, people will tune out. If you don’t have a lot of experience in video editing, less is definitely more. Though simple video editing programs offer you a great deal of special effects, these can look cheesy really quickly. Let your content shine through by not cluttering your video with effects. Ruthlessly trim your clips to include just the highlight. Too much set-up will cause your viewers (who often are not experts in your sport) to lose interest. Vary the types of highlights in your video. If you’ve got three great goals in your hockey highlight package, spread them out to increase their impact. If you are using music that builds, you might choose to start out with longer clips and speed up to quick, dramatic clips during the dramatic part of the music. You can create impact by playing with your clip length so that the clips match the beat of the music. (Some video-editing software can do this automatically). Include clips of a variety of athletes and even supporters. While it’s tempting to include shots from a few superstars, these stars likely get a lot of media attention and the novelty has worn off. A rookie who rarely gets attention is much more likely to share your video than a star player. Reduce or increase the audio volume on each clip so that they’re uniform. If you’re using music, make sure that you can still hear some of the clip’s original audio. Play with the brightness and colour of each clip to create better video quality. Phew. Your video is ready. But if you think your job is over, think again. Now you’ve got to maximize your views on YouTube (if you choose to host it there). Title: Should be descriptive, catchy, but also contain key words. My video’s title contains the sport’s name, and the word ‘hit’ and ‘highlight’ so that when someone searches for “wheelchair rugby hits” (a popular search) they will find it. Description: Keep the description short, but make sure to embed key words and add a link to your website. Privacy Settings: If you want your video to be accessible to everyone, make sure the privacy setting is set to Public. If you only want to share this video with specific people, change it to Unlisted. Once Unlisted, only those people you share the link with can watch the video. This means it won’t show up on your channel or in search results. Category: Make sure that your video is clearly identified as a sport video. Tags: This is arguably the most important field. YouTube places a limit on the number of tags you’re allowed, so choose them wisely. You may have to do some searching to figure out what highlights are most popular so that you can tag these. In the sport of wheelchair rugby, crashes and hits are most popular, so I’ve tagged these. Try to imagine what people might search for to find your video. Send out the video in an e-newsletter. If you are creating the highlight video on the first day of the tournament, use it to get more spectators by sending an e- blast to your membership list with the link to the video and a schedule. Great work! You’re now well on your way to becoming a highlight package expert! To learn more, check out our Social Media Toolkit, found here.